Maybe it’s when you’re cooking dinner. Maybe it’s at night before they go to bed. Whatever it may be, picking the right moment to talk to your teen can be a huge factor in their willingness to dialogue back. Instead of declaring you need to talk, allow conversations to flow during natural moments throughout your day and week. We wrote about the importance of talking to your teens, but how might this look as a normal, day-to-day interaction? Sit down and watch their favorite show or movie with them. When it’s over, talk about what you saw. Ask your teen what they thought about a choice a certain character made. Does your teen think it was a healthy choice? Why or why not? What does your teen think the character could have done differently for a healthier outcome? DID YOU KNOW over 75% of prime-time programs contain sexual content, yet only 14% of sexual incidents mention risks or responsibilities of sexual activity? This method might be easier than you think. *Important to Remember: Your goal here is to dialogue back and forth, and maybe even learn how they view their world, not to quiz them or tell them they’re wrong. There’s no better way to turn off the lines of communication than constantly telling someone they’re wrong. Let them choose the radio station in the car. Listen to the music and when a song ends, turn down the dial and ask your teen what a specific lyric means to them. What do they think the artist is trying to convey by saying that? Is it a healthy message? Why or why not? *If your teen says they didn’t actually hear the line, they might be telling the truth. In fact, studies show we typically only remember about 17 to 25% of what we listen to. That’s a small amount! But that doesn’t mean this can’t still be a helpful exercise. Perhaps it could make your teen more aware of the things they’re listening to in the future, or maybe they’ll listen closer next time and think about the lyrics’ meanings. Or maybe not. But you’ll never know until you try! **A meme is a funny image, usually containing text, spread throughout the internet. A simple Google search will flood you with choices. NOTE: Search with caution. Whatever method you choose, note what works with your teen and what doesn’t. Being intentional can lead to meaningful and impactful conversations with your kids. You won’t regret putting in the time and effort to reach your child in a way they respond to. Don’t know WHAT to talk about when you find a time that works? DID YOU KNOW every CPR donor can receive our Parents’ Guide, despite the donation amount? Our Parents’ Guide is chock-full of talking points for parents! From a list of conversation starters and questions your teen can ask YOU, to an extensive list of Creative Group Activities you can suggest your teen and their friends try, it’s sure to be an invaluable resource. Finding the right time and the right way to have important conversations can make these messages FUN for all involved (or at least less awkward). 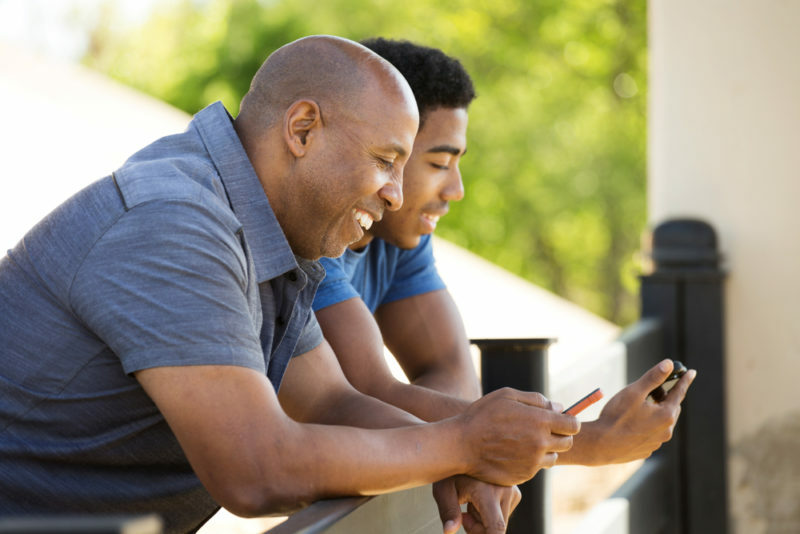 Taking the time to show interest in what they’re interested in can improve your relationship with your teen and make them more receptive to what you have to say in the future. Experiment. When you find the right formula for your child, your secret sauce for conversation, you may be surprised by how effective your message is! What’s something that people think makes them look cool, but actually has the opposite effect? P.P.S. Afraid your child may reveal something unexpected and maybe even disappointing during one of your conversations? Here’s an article with some great information on how to react and address disappointing news with your teen.